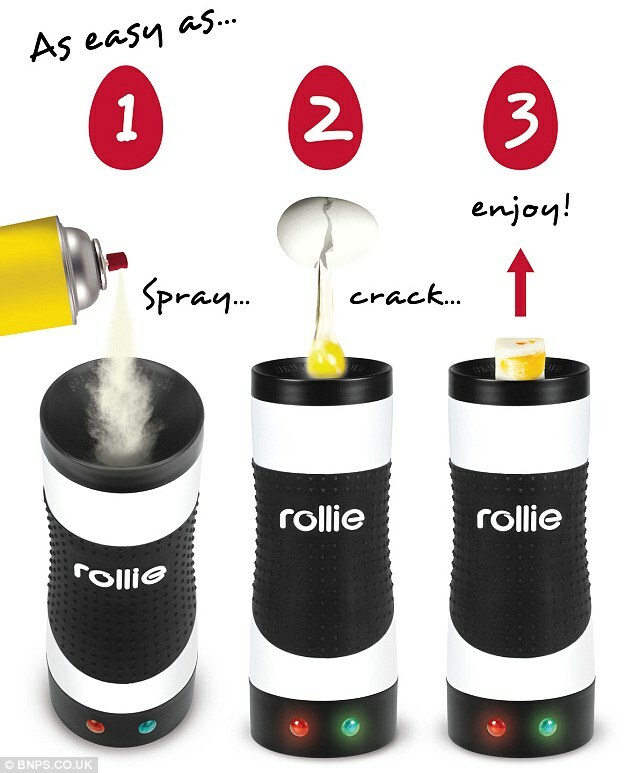 Today, we are going to introduce you the Rollie Eggmaster. It was a sensational among people on twitter and facebook and if you are one of the early adapter, you should already have this one in your kitchen by now. We haven’t never seen anything like this before. It has a cylinder shape with a deep vertical whole inside. What you just need to do is, put 1~2 eggs into the machine and after few minutes, it will give you well cooked egg on your dish. Rollie Eggmaster will be perfect for those of you who doesn’t have enough time to cook. If you put more than two eggs, it is possible that the upper part will not fully cooked as the bottom part, so two eggs will be appropriate amount to cook, when using this machine. After 6~8 minute, rolled egg will pop up automatically. When it’s done you can just pull the egg out of the machine and serve the meal. You can cook it with some salt, or you can put some ham, sausage, or bacon inside with eggs. With the Rollie Eggmaster, you can cook in many different ways. It’s just a simple fried egg we are talking about here, but still it takes some time and effort to cook a fried egg, especially busy in the morning. However, with the Rollie eggmaster, you will be able to save some time and do other stuff in a meantime while it’s ready your meal. Since this is something we use in the kitchen, Rollie Eggmaster is made of plastic. Also there is rubber in the middle and the bottom part, so it will prevent slipping away from your hand, even if it’s wet. So, how do you think about this super convenient egg machine? ?